Trade volume between Turkey and the United States may reach $75 billion through a free trade agreement and the removal of regulations and tariffs, the chairman of the American-Turkish Council has said, stressing that the bilateral potential has never been realized. “I’m of the opinion that we can do a lot more, whether we go up to $75 billion or not, I don’t know, but there are some things that we can do to narrow the odds that might happen in terms of tariffs and trade policies, regulations that are no longer useful, you know. 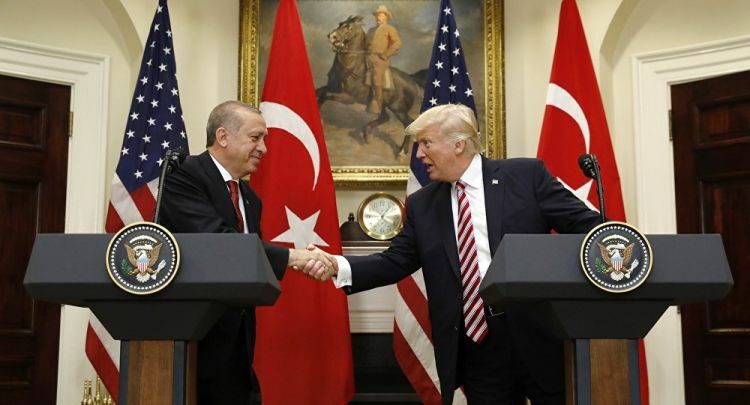 As we move more towards a free trade relationship I think that you’ll find that we’ll make faster progress to get to that $75 billion,” James Jones, the chairman of the ATC, told the Hürriyet Daily News in an interview on Feb. 5. “Most of the conversation I’ve had with American companies that are coming over here is about their interest in how to not only maintain the relationship but reach the level of trade that both President Recep Tayyip Erdoğan and President Donald Trump have agreed to, which is about $75 billion,” he said. Both countries are interested in signing a free trade agreement to remove all trade barriers in front of them but as Jones recalled Turkey’s customs union agreement with the EU creates a restriction for the latter.